As one year closes, the next year’s door springs open. And let me know your thoughts in the comments section below. Maybe you’re not sure if you should spend time and energy and resources on Google plus. Let me tell you, you should 100%, no question about it. 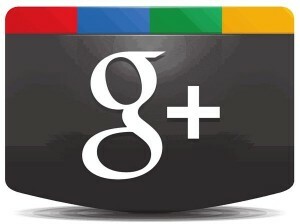 Google is giving very heavy advantages to companies that use Google plus. I’ll go into greater depth about this in upcoming videos and e-mails. But let’s just say for now, that your SEO rankings and even your pay per click rankings will get a powerful boost if you take the time to build up your Google plus account. P.S. For those who are wondering, my cast is coming off on December 31st, so I’ll be ready to bust some moves on the dance floor on New Year’s Eve. The hand and wrist are healing, and I’ll be ready to lift some vicious weights soon too! Just posted this audio for you on what I call “Warrior Spirit”. Have a listen to this 7-minute story of how I’ve cultivated it in my life, and how you can too. Enjoy – And let me know what you think in the comments section below! Just included the transcript of this too, in case you prefer to read it instead. A few days ago I got shot (at point blank range) in an armed robbery. I will tell the story here once so that I don’t have to explain it 1 million times over and over again. Ha ha ha. Last Tuesday I was going to go pick up some friends and my car battery was dead. So I decided to jump in a taxi to go get them – this was in Paitilla, in Panama. “Don’t worry. I’ll just drop you off first”. That was my biggest mistake in this whole situation. So I sat in the front, and immediately the guy sitting behind me grabbed my shirt and tried to pin me to the seat. Now, I’ve trained in self-defense and fighting in hand-to-hand combat for many years with Christophe Clugston. So I immediately reacted. I didn’t even have time to think about whether or not I should be reacting — I just reacted. I probably scared the guy sitting behind the driver seat, so he shot me immediately. Only by the grace of God that I had my hands in the right place – which was on the side of my neck to grab the other assailant’s hands. But I smelled the gunpowder, so I knew a bullet had gone off. So I just calmed down. I gave them my iPhone and my wallet, and asked if I could keep my IDs! Ha ha ha. “Give me the wallet or I’ll shoot you again”. I handed him the wallet, and I asked them to drop me off. (Another miracle is they just let me get out of the car without shooting me again). At this point I saw I was bleeding from both hands. I wasn’t sure exactly where I was shot, because it was dark. But I was only a block from my penthouse. So I ran home, which was probably mistake because the blood really started pumping. To say he was shocked would be an understatement, ha ha. Frankly, I am just filled with gratitude that I’m still alive and I can move. I went to the hospital and they took good care of me. I was out three days later. The biggest price of this whole experience is my right-hand, which will be in a cast for 6 to 8 weeks. It will be hard for me to type, hard for me to train in the gym. But I love a great challenge, and it’ll be a good opportunity to get creative and have fun. Thanks everyone for all the love, the humor and the support that you’ve given me. I want to thank all those who came and saw me in the hospital. Your love really helped me heal from the inside out. God bless you all. I love you all, and I’m glad to be here on this earth to continue the journey. Be careful, but don’t get jaded. As I’ve said before, SYSTEMS are the key to scaling your business. And, as Robert explains, this simply involves creating step-by-step procedures for how to do something in your business, then finding people to do it at a price that’s affordable. do to increase your existing profits. closer to being in the black. A good CTR is 5% (for friends of friends). Below that you probably missed the mark. If you have around 10,000 fans – spend around $200. you get a really good CTR (and cheap clicks). If you go too far, you’ll end up with friends of friends of friends. And your CTR will drop. Again: remember that the IMAGE is the key. And the most important thing always is to have a great: sales funnel. Promoted post aren’t going to magically fix a broken marketing machine. then I strongly suggest you use The Ultimate Business Building System. Just got back from a great vacation in Canada. 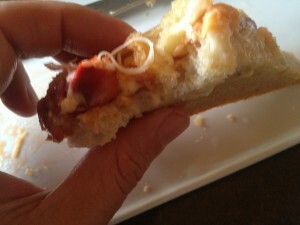 It was culinary debauchery. I ate french fries cooked in duck fat, soaked with gravy and cheese. 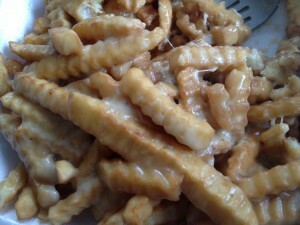 It’s called “poutine” (from Quebec) and many more things. 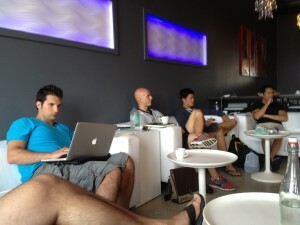 I was hanging out with some of the smartest fitness internet marketers in the world. Vince Delmonte was there, Dave Ruel (the muscle cook) and many others. We were there for a private mastermind session. I want to share my real opinion on masterminds. (good, bad and ugly). I’ve been a part of DOZENS of masterminds since I started my journey into internet marketing. In general, I think they’re great. But I think most people get a FRACTION of what they could get from them. They have the wrong attitude, and it ends up costing them BIG TIME. First things first: If you’re in a mastermind… be there to GIVE MORE VALUE THAN YOU RECEIVE. I don’t care if you’re just a raw beginner who started yesterday. That’s the key that opens everyone up around you. Obviously if you don’t have the funds, join some free masterminds if you can. The problem is that they may not be as organized as a paid one. BEST ADVICE: If you can’t find a free mastermind, START ONE. I’ve started several masterminds over the years and they’re great. You can start a “local entrepreneur” mastermind. Those are great, because you can hang out in person. You can start a mastermind in your niche, and do it on Skype or Google Hangout. This is probably the most common. Also known as “hot seats”. People share their biggest challenge and people offer them their best advice. These are great when you’re at a paid mastermind, because you’re usually getting the advice of high level experts. It’s a great opportunity to learn new tactics that you can apply to your business and make more money. I actually just started one of these lately, and I’m really enjoying it. I wanted to get back to reading consistently, and this was my best idea. There’s built in accountability. The benefit is that everyone is curating content on 2 levels: the book selection, and their favorite sections or most impactful concepts. I’ve seen masterminds that do a combination of all the above — which is probably the best format. Paid masterminds are usually well organized and have a solid structure. There also seems to be a correlation between the quality of participants, and the costs of the masterminds. In other words, a $25,000 mastermind usually attracts higher level people than a $5,000 mastermind. When are masterminds a BAD experience? I’ve been to masterminds where the “main expert” barely delivered any value or advice. Just asked a bunch of generic questions, and didn’t really provide any specific tips that ended up working. This becomes more common as you become an expert marketer. Make sure you go to masterminds where the “expert” is smarter and more experienced than you. When do masterminds go UGLY? It’s rare… but sometimes the participants just don’t care. I’ve been at private masterminds where 70% of the guys had their faces buried in their computer and weren’t even listening to the guy speaking. Are you freaking kidding me? How disrespectful is that? Make sure you listen when people are on stage. People notice if you’re listening or not. I have some close friends that went from NOTHING to having solid 6-figure businesses PURELY because they joined the right mastermind early in their careers… built great relationships with everyone, and then have been making 99% of their income from joint venture partnerships with these people. Again: the key to their success is… they are COOL guys who are fun to hang with, and provide value as human beings. In other words, they become good friends before they start asking to do a JV. Too many marketers jump the gun when they meet people, and want to do a “JV”. I was guilty of this myself when I first got started. Then I stopped worrying about JVs and just started hanging out with people, having fun and delivering value. It seems JVs flow a lot more naturally in those environments. So make sure you go in with great intentions. Deliver more than you can ever take… Be the coolest guy you can be… Share everything you’ve got… And eventually the Mastermind will give you 10X more than you ever gave. I’m going to share what I consider the greatest marketing secret ever. First here’s the definition of “Golden Rules”: It’s a concept or tactic that you can apply to almost any website and get a pay raise (bump in conversions). What I want to reveal is what I call “The Golden Rule of Golden Rules”. Here it is: The most effective form of advertising is marketing material that does NOT look like marketing and APPEARS to be valuable. The most effective form of advertising is marketing material that does NOT look like marketing and IS VERY valuable whether they buy or not. In other words, your marketing IS valuable. They’re learning something from it just by watching it or reading it. Why is this so? It’s because NOBODY wants to feel like they’re being sold to. There’s a natural resistance to it. Now here’s a critical integration: — once that “new style of advertising” is seen repeatedly it loses it’s effectiveness because now everybody knows that IT IS marketing. Over 100 years ago, Claude Hopkins created a beer advertising campaign that was very successful. What was his secret? He described in detail the process of making beer. There was NOTHING secret or different about the process itself. What was different was the amount of detail he went into. It made the advertising valuable to the consumer and it did NOT look like marketing. This process has been repeated dozens of times over the years and decades. Advertorials were very successful for a long time. People would run magazine ads and newspaper ads that looked and felt like reports. The strategy was to make the the “ad” look like another article. This strategy STILL works today when properly executed. Then came the evolution of informercials. Kevin Trudeau made his informercials look and feel like talk shows. People tuned in and watched it because they thought it was an informative show. And a lot of was valuable information peppered with good salesmenship. 8 years ago — the world was NOT used to seeing long form sales letters on the web. Those pages did NOT look like the slick “branding sites” that most companies used. So they did NOT look and feel like advertising. Of course, those became less and less effective over time because people now know that those pages are sales letters. Now — DESIGN has evolved the long form sales letters to new heights. Successful publishing companies like Mindvalley have reported that they are finding bigger conversion boosts from better designs than better copy. Here’s an even more recent example: video sales letters. When video sales letters came out, they doubled conversions. The consumers were NOT used to seeing these. Once everybody copied those, they became less effective. Of course, the video sales letters have already evolved: the doodle (live drawings) and more highly produced videos are creating higher conversion rates. The video sales letters are here to stay. However, you will need to keep creating more and more interesting, valuable, beautiful presentations to keep their effectiveness alive. A final point is that eventually “what’s old is new”. In other words, once people FORGET an “overused style of advertising”… you can bring it back and it will feel new and fresh. So maybe in a few years the “ugly sales letters” will work again? The main takeaway is: keep trying new things, new ideas and keep evolving your marketing. You may be the one who discovers the next big “golden rule” that changes the advertising landscape.